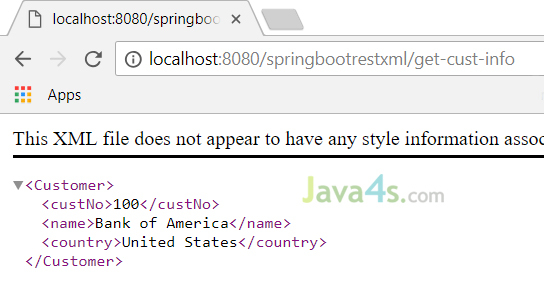 Spring boot services by default gives the response in JSON format, but we can reverse this functionality in such a way that the default response will be in XML. In order to do that we have to add a new dependency called jackson-dataformat-xml. With this dependency services by default gives the response in XML format and if you want to see the response in JSON, just append .json to the URL that’s it 🙂 I will show you with an example. Your blog is really good and useful. I'm learning the spring by using your blog only. I'm trying a task like read data from excel and stored into pojo whenever I hit a spring boot based REST API. Is that possible. give me some idea on that.